Bringing more color into my life has been a goal of mine since I began my journey into vintage. This summer I put aside my trusty blues and blacks and went for a bright and colorful look. 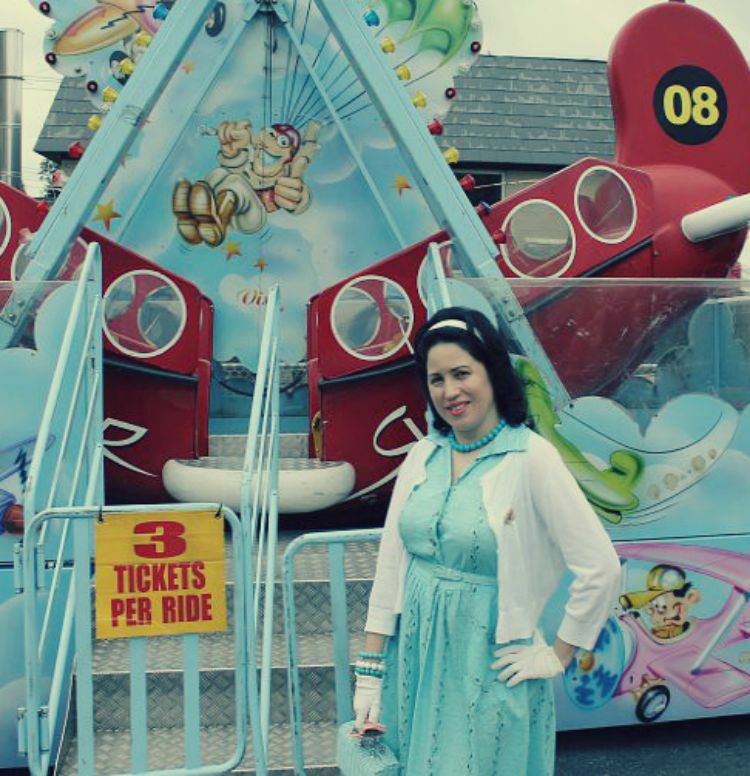 I dolled up for my eldest son's graduation and hammed it up among some equally colorful carnival rides in the school yard. It's safe to say that delving into vintage has given me some good challenges to face. Trying new colors when it comes to fashion can be tricky especially when you aren't the type of person who likes a lot of attention. Wear a striking red or bright yellow and you are bound to have a few heads turned. I don't regret challenging myself when it comes to my evolving fashion tastes. I'm finding it fun and a surprisingly creative outlet. And its safe to say I did turn some heads. I don't think it was just because of the brightness of my fabulous vintage ensemble but also because I was dressed in vintage. People in my neighborhood are not used to seeing such things. You'd think New Yorkers are open to creative people but in my particular borough in New York there view on creativity isn't as open as it is in other areas of the city. But I don't regret it. My children think I look fabulous and I feel amazing so to me that's all that matters. 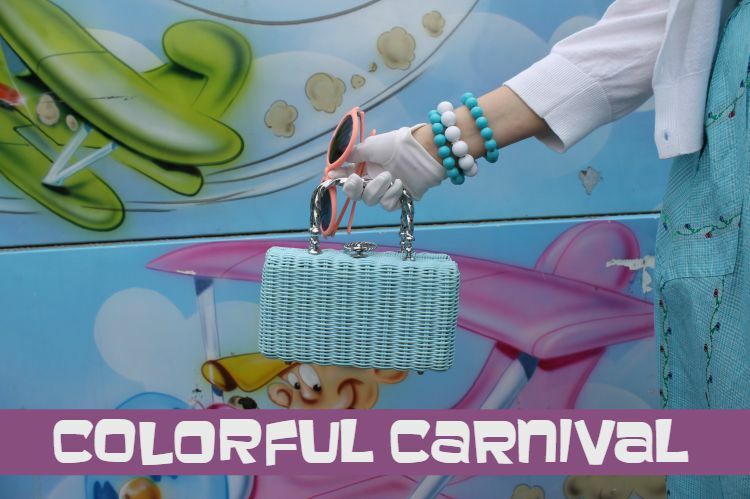 Be colorful and pose in front of random carnival rides. Why not? You look like a very beautiful and graceful lady. You're setting a great example for your children. Not only that a woman should dress modestly and thoughtfully, but also to step out of your comfort zone and take chances. So cute! 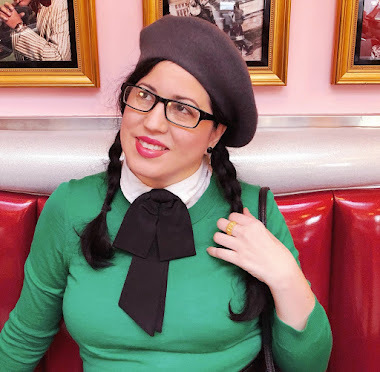 I'm digging your path into 60s fashion:) So fun! These colors look so pretty on you. You look marvelous!!! What a cheerful, sweet colour palette and outfit. You're the picture of 1960s loveliness. I agree with you people in my city are not use to seeing a lady dressed in vintage. I take public transportation every where and when I first got into vintage I was not prepared for the attention I ended up getting. I was so creped out, it was mainly men staring at me up and down and boring there eyes into me. So to fight back I would stare right back at them and hold the stare until the man broke the stare. Now it does not bother me as much I've learn to let it go. And I am no longer going around putting out the vibe STOP STARING AT ME! People are very nice to me and offer nice compliments :) These days I am truly invisible now when out in public, YAHOO! I learned that it bothered me so much in the past because I had low self esteem and a lack of confidence. Thanks to my wearing vintage I now have more confidence in myself, some time I even feel like a vintage super heroine, LOL.